The Canadian Museum for Human Rights (CMHR) is the first museum solely dedicated to the evolution, celebration and future of human rights. Our aim is to build not only a national hub for human rights learning and discovery, but a new era of global human rights leadership. Creating inspiring encounters with human rights, we will engage Canadians and our international visitors in an immersive, interactive experience that offers both the inspiration and tools to make a difference in the lives of others. We will welcome our visitors as partners on a journey to erase barriers and create meaningful, lasting change. 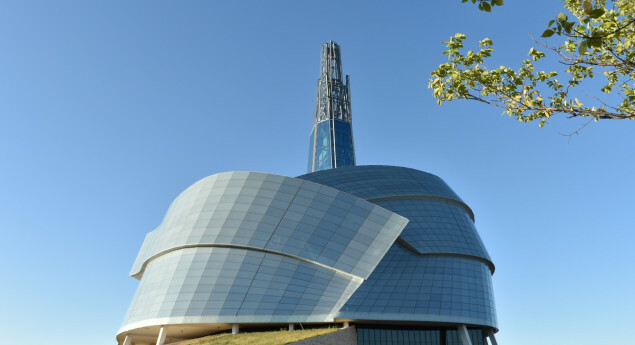 The Canadian Museum for Human Rights is the first national museum to be built in nearly half a century, and the first outside the National Capital Region. 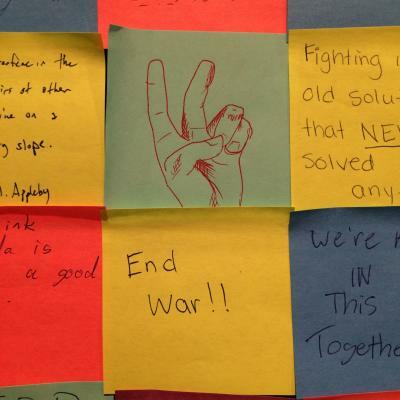 I liked the wall of post it notes, and I love the architecture of the museum itself. It is such an interesting looking building. 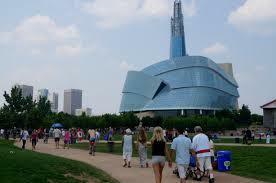 When out of town guests visit, the Human Rights Museum is always on our list of places to see. 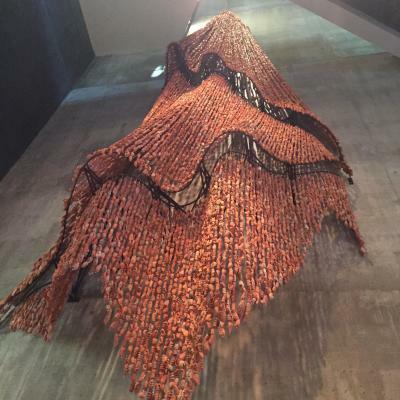 The building alone is amazing never mind the incredibly moving exhibits inside. 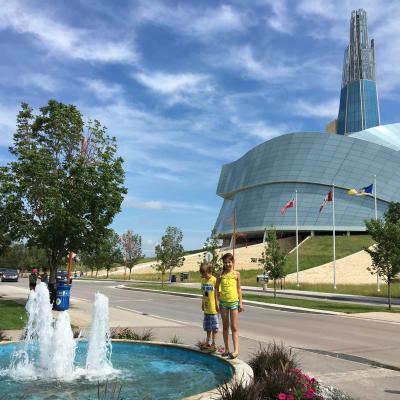 This museum is fairly new to Winnipeg and has made a great tour spot for all Canadians. The museum was founded on August 10,2008. I learned quite a bit that we never learned in the classroom. The place is huge though, and we only saw one area, but it was still interesting. How they designed the building, inside and out, is amazing, too. The CMHR is the ______ national museum to be built outside of Ottawa.